Chinese phone manufacturer Xiaomi has entered the folding phone battleground with a prototype which was recently demonstrated on camera by Lin Bin, the company’s co-founder and president. The folding Xiaomi handset is shown first in tablet mode and then it folds in two places, leaving the middle third on the outside of the front of the device and two smaller sections wrapped around to the rear. 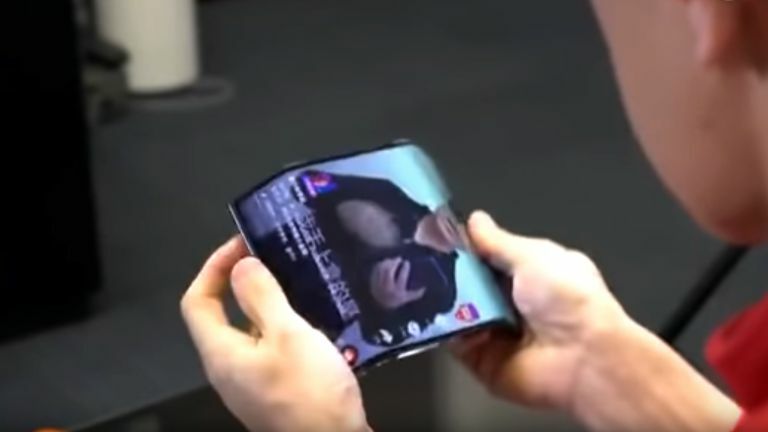 This is in contrast to the Samsung Galaxy X folding phone which folds in half, from the middle, with the screen on the inside of the fold, much like a book. The Galaxy X also has a second screen which sits on the outside of the fold when the handset is closed. While Xiaomi might have the Samsung Galaxy X in its crosshairs, it also faces a skirmish on another front, with Motorola. That manufacturer is apparently prepping two folding phones: a reboot of the much-loved Motorla Razr, which may break cover at MWC 2019 in February and a second handset which recently appeared in a patent application, which folds in half like the Galaxy X but with the screen on the outside. "Xiaomi double folding mobile phone is coming! This symmetrical double-folded form perfectly combines the experience of the tablet and mobile phone, which is both practical and beautiful. Although it is still an engineering machine, it is sent out for everyone to see. If you like it, we will consider making a mass production machine in the future. "In addition, we want to give this engineering machine a name, what do you think is good? I think of two: Xiaomi Dual Flex, Xiaomi MIX Flex." You can see the Xiaomi folding phone in action in the video below.